During Fan Expo Canada this year, Star Wars: Rebels fan were treated to a panel with Dave Filoni (Executive Producer of Rebels), Vanessa Marshall (voice of character Hera Syndulla), and Taylor Gray (voice of character Ezra Bridger). It was at this panel that that awesome new trailer dropped (you can read more about that here ), and attendees got to watch the first episode of the show, which will be premiering for the rest of the world October 16, on Disney X D.
And thanks to blogger, podcaster, and huge Rebels fangirl Johnamarie Macias of The Wookiee Gunner, those of us who were unable to attend the panel in person can watch the whole thing here!! You can read detailed article on the highlights on this panel from The Wookiee Gunner here. Thanks again to Ms. Macias for catching this for all of us to enjoy!! Star Wars: Rebels season 3 coming to DVD and Blu-Ray! Star Wars: Rebels season 3 is finally coming to DVD and Blu-Ray! As announced on this Wednesday’s episode of “The Star Wars Show” on StarWars.com, season 3 of the hit animated show, Star Wars: Rebels, will be coming to DVD and Blu-Ray on August 29, 2017. 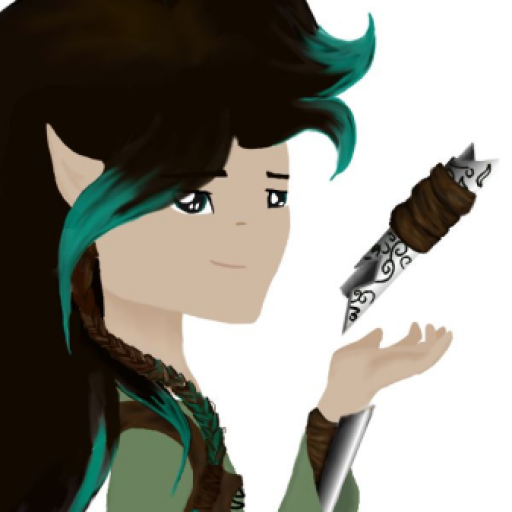 Lately I’ve decided that I will be doing blog posts for The Elven Padawan primarily on Saturdays. In the past I’ve done them rather sporadically and with no real pattern, pretty much just whenever the mood struck. But that’s not fair to all you guys, since you never know when a new post might pop up. Now it’ll be much easier for you to plan for them and you’ll be expecting them when they do happen. Now don’t worry, news announcements will stay the same they’ve always been: I get them out to you as soon as I find them myself. So if there’s a new trailer, title reveal, news announcement, or anything along those lines, it’ll show up on here as soon as I can get it out. It’s just the posts for The Elven Padawan Blog (like the cosplay breakdowns and craft tutorials, my own theories and rants [like that thing about Ahsoka I did last week]) that are changing a bit. So for this week, here’s the first post in this new arrangement: a brief rundown on all the cosplay projects I’ve done so far. A few I’ve talked about it even detailed extensively on here (like my Thrawn one), but I’ve had a couple requests for pictures of my Rey cosplay, so I decided to put them all on here. I’ve been wanting to get pictures of this one for a while, so when the weather was nice out I threw the outfit on and roped my little sister into helping me snap some. I didn’t have time to do the full Rey hairstyle, and since I hadn’t planned for this photoshoot, I didn’t do the makeup either. But I got some really great shots of the full outfit and the staff, and decided to share them with all of you here. Besides trying to hunt down a good replica for the small pouch Rey wears at her hip, and doing some alterations on the boots so they’re more screen-accurate, I also eventually want to remake the wristband and belt from real leather. I’ve already hunted down a really nice 3D-printed replica of Rey’s blaster, which will be at the top of the list come my next birthday. Most of you have already heard all about this one, but for those who haven’t here’s a brief overview. I wanted to go full-out for May the 4th this year. I was debating between several different outfits, one being the Rey one above, but what kept standing out in the front of my mind was a genderswapped version of Director Krennic, from Rogue One. I would switch the tunic and pants out for a knee-length dress and leggings, keeping intact the sweeping white cape, rank badge, boots, and other little details that make Imperial officers stand out. But I also really, really wanted to do alot of makeup work for my outfit this year, particularly attempting to paint all my exposed skin a color that would be considered outside of normal. That’s when the idea hit me: genderswapped Grand Admiral Thrawn. Season 3 of Star Wars: Rebels had just ended, and I had been totally in awe of his tactical genius, always-in-control way of doing everything, weirdly calm and unsettlingly relaxing voice – let’s just face it, the guy’s awesome!! Not to mention he’s one of the only nonhumans in all of the Empire!! It was totally the right choice to bring him back to Star Wars canon. And so was born my epic genderswapped Thrawn cosplay!! But wait!! Here’s a special surprise that none of you have seen. This started out as Arwen’s Chase Dress from The Lord of the Rings: The Fellowship of the Ring. But when I went to cut out the pieces from the fabric I had found, I realized there wasn’t going to be enough. Since all the main body pieces, plus the pieces for the high rolled collar and drape-y lowers parts of the sleeves were cut out, I simply improvised and ran with it. I used the fabric from those lower sleeves and collar pieces to make an enourmous hood, trimmed the hem a bit so it was even all the way around, and left the sleeves off entirely. Then I sewed the pieces together, top-stitching zigzags over all the front bodice seams and surging all the raw edges so I wouldn’t have to hem them. I also left the front open entirely, all the way down, then added metal eyelets to the edges so I could secure top closed with leather lacing. The skirt is split, just like Arwen’s in the original design, so it can function wonderfully as either a cloak or overdress, leaving the wearer the full ability to ride a horse or swing a saber. This one was more of a “closet cosplay” that I threw together in a couple afternoons for a small Fall Festival we were doing with some friends a little while back. I put on my latex elf ears from Aradani Studios (which I absolutely love, btw!) and left my hair down. Ok, so this one’s a bonus. These are the costumes I made for my younger sisters for May the 4th last year. The one closest to my age (who did Pryce this year) wanted to try out Kylo Ren, and the other two were a couple of anonymous Jawas. I also made all their costumes, except for Kylo’s mask and saber, which we ordered from the illustrious and ever-intriguing Amazon. So that’s it for this week’s post from The Elven Padawan blog!! I hope you all enjoyed this, and there’ll be another post next week.